Hello Friends + Happy New Year! Ready for DIY? Let’s get it on. Summer always makes me want to get my hands dirty and do some gardening. 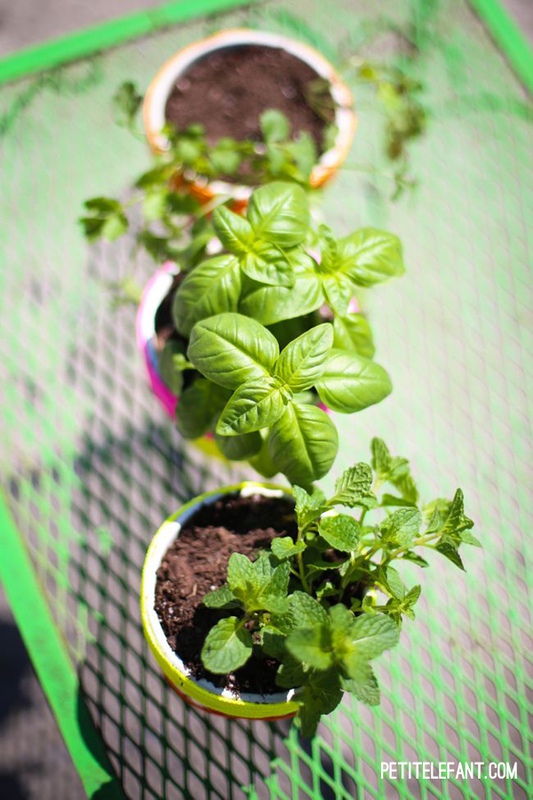 Herbs are my favorite things to plant because, well, I get to eat them. How nice is it to have basil in the backyard to sprinkle over yummy tomatoes all summer long? Planter pots can quickly get expensive if you buy them new. So check out thrift stores where you can find interesting sizes and shapes for great prices. 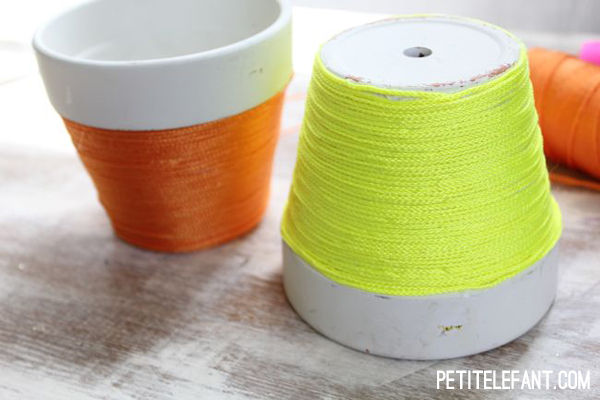 I picked up this trio of pots for 50 cents each and gave them a DIY neon-wrapped makeover. Planters. Smaller ones are easier to work with but you can do this project with any size. Neon string. 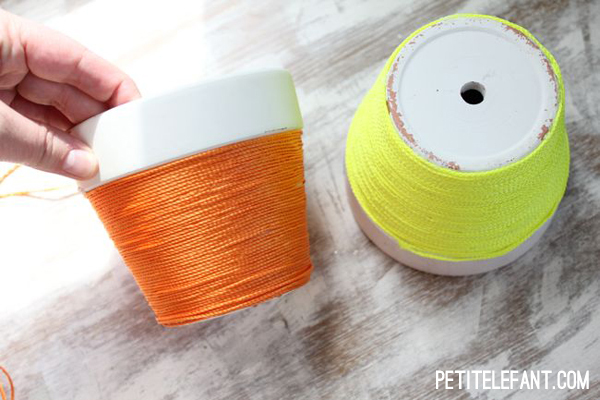 I love this neon string that you find at hardware stores. The colors are so bright and happy! 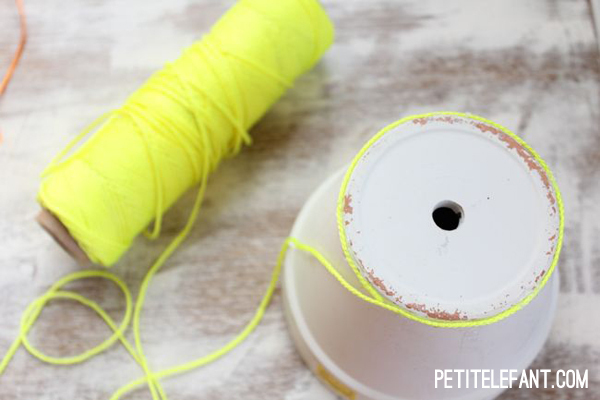 This project works with any kind of twine too. Starting at the base of the pot, hot glue the string around the pot. Gluing all the way around gives you a good strong base for wrapping. Start wrapping the string around the pot. There’s no need to hot glue every row but make sure you glue a few spots as you wrap. Maybe put some glue on every 5 rows. You might think the wrapping would take forever but it actually goes really fast; this is a super easy DIY. 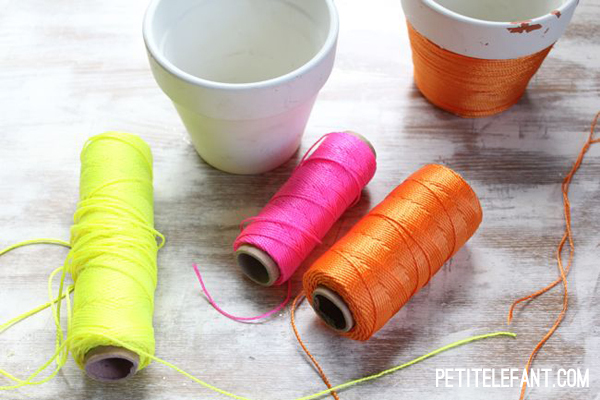 Wrap the whole pot in one color or make it two-toned by doing the top in another color. Starting where the base color ended, hot glue on the new string and wrap. You’ll need more glue on the top to make sure it stays in place. 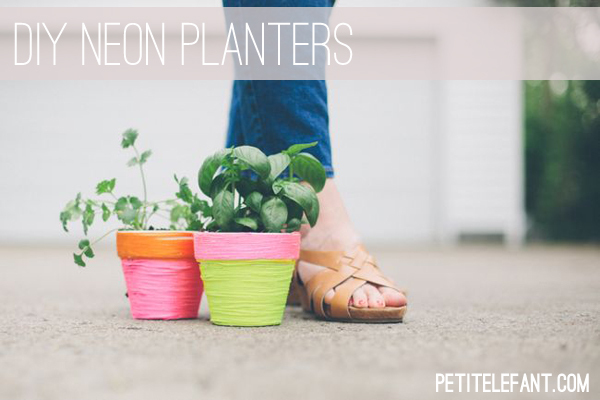 Plant your favorite flowers or herbs. And if the string get dirty or wet when you plant just wait and let it dry and you can brush it off with your hand. How easy was that DIY? 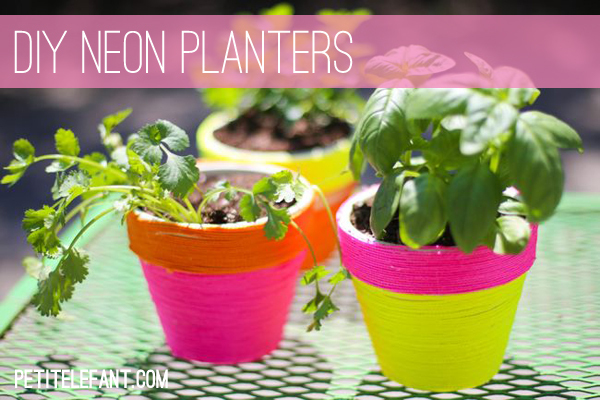 Neon planters are seriously the cutest, and now my basil, cilantro and mint now have a happy new home! 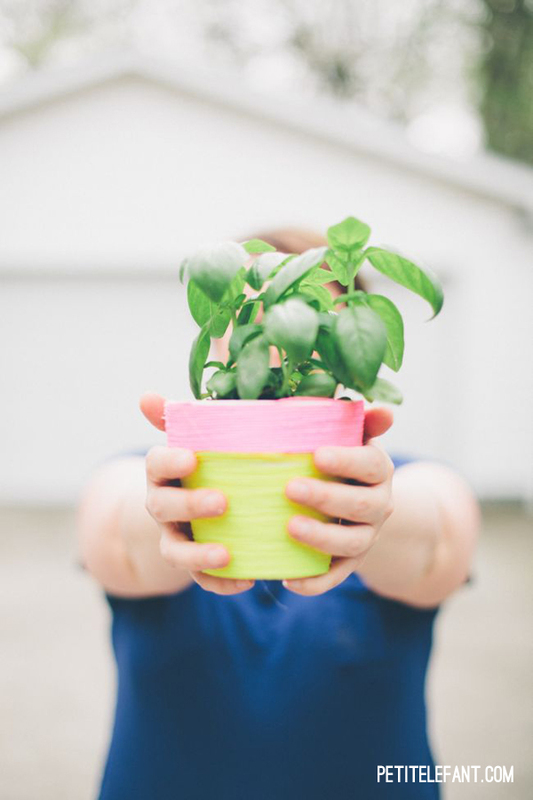 What’s your favorite thing to plant in your garden? What’s your favorite garden/yard DIY? Stephanie Gerber is a mother of 3 who writes for pretty mommies on a budget. She shares stylish and crafty adventures on her blog Henry Happened. I love the pop of color! My place could really use it! Netflix Gilmore Girls Premiere – Behind The Scenes!